At Mills Teacher Scholars, we believe inquiry is an equity strategy that helps educators understand student assets and build supportive awareness of our implicit biases. This value comes to life in our work with teachers. Nessa Mahmoudi is a second grade dual-immersion teacher at Melrose Leadership Academy in Oakland Unified and is a teacher leader at her site. Through her Mills Teacher Scholar inquiry she works to critically examine the varied assumptions we make about teaching and learning, including her assumptions about her English Language Learners and her teaching practice. Half of the students in the classroom are native English speakers learning Spanish, and half are native Spanish speakers learning English. Students will study in partnerships, at times teaching and at times learning language from their peers. As the school year began, Nessa studied her students’ language through inquiry and began to question these assumptions about two-way immersion. Classifying students into English and Spanish speakers was much more complicated than it at first seemed. While about half of her students spoke English at home, they often spoke varying dialects of English, including African American Vernacular and Chicano English. Of the Spanish speakers in her class, she came to learn that their families spoke a variety of dialects as well, with students from Spain, Mexico, Cuba, and Puerto Rico. Then there were students like Juan who identified as a speaker of Spanglish at home. Akili’s father spoke to him exclusively in Swahili and Soraya’s first language was Arabic. She found that the assumed language dichotomy was in fact a plethora of nuanced language usage. Do all students inherently have an opportunity to be language experts in my classroom? How could I develop meta-linguistic awareness in all my students about the various funds of knowledge they were bringing to their Academic English and Academic Spanish learning? Every student is a learner of Academic Spanish and Academic English. Curriculum that reflects and empowers our most marginalized students, those whose home language furthest replicates “school English” or “school Spanish,” is central to equitable language instruction. 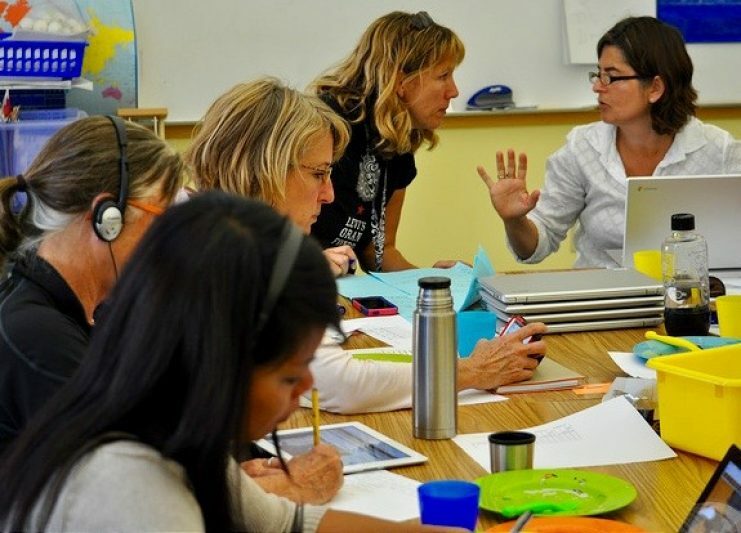 Two-way immersion teachers must come to know not only their students’ and families’ values and aspirations, but also strive to know their linguistic history. Nessa’s learning illustrates the power of collaborative inquiry in supporting equitable teaching and learning for all students. Read Nessa’s story in her own words. As I got to know the diverse group of families and students in my classroom, I soon realized that my simplified definition of two-way immersion did not represent the true linguistic complexity of my classroom.